I'm so glad you mentioned about this book. Since I am a Jane Eyre freak too and an ardent worshipper of Charlotte Bronte this little post brightened up my day. Now I know what book to hunt on my trip to the local bookstore next week. I haven't read this yet but I did like The Secret Diaries of Charlotte Bronte by Syrie James which sounds kind of similar. I received that as a birthday gift a couple of years ago and thought it was excellent. Sadly the author is now concentrating on writing vampire books but she also wrote a book about Jane Austen earlier. That sounds like an absolutely awesome book. I will be getting it very soon. Jane Eyre is on my reading list and maybe I'll wait to do this one until just after. Yeah, I thought the same about Jane Austen movie, too. I think it's worth reading, because we know so little about these magnificent women who managed to prevail those times. Oh, this book sounds awesome!! 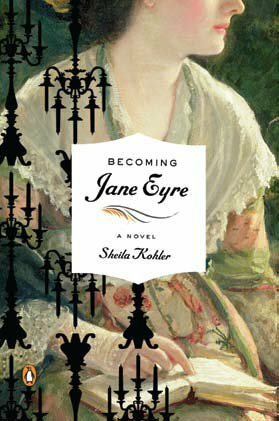 I liked the movie becoming jane and you're right it sounds like something similar!